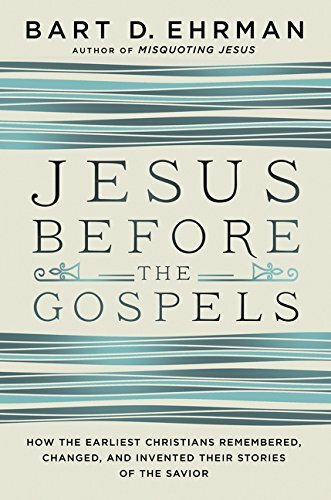 Bart Ehrman has written his book Jesus Before the Gospels: How the Earliest Christians Remembered, Changed, and Invented Their Stories of the Savior for readers uninitiated into modern scholarly study of the New Testament and other early Christian literature. Such readers, he assumes, view the canonical Gospels of Matthew, Mark, Luke, and John as presenting fairly or wholly harmonious and reliable portrayals of the historical Jesus, i.e., Jesus as he would have been videotaped had the necessary technology been available in the 1st century. Ehrman is at pains to disabuse his readers of that view, so that his own portrayal of the historical Jesus makes only a minimal appearance in the book. Emphasis falls instead on what Ehrman takes to be the unhistoricity of stories that evolved in oral traditions prior to the writing of the canonical Gospels and that then made their way into them.